Feeling the after-effects of the holiday season? From two-for-one burgers to pocket-friendly cocktail hours, take advantage of these weekly specials in the sunny East Coast city. Enjoy the burger-and-beer special on Mondays, when you get a Grand Burger and fries plus a craft beer for just R60. 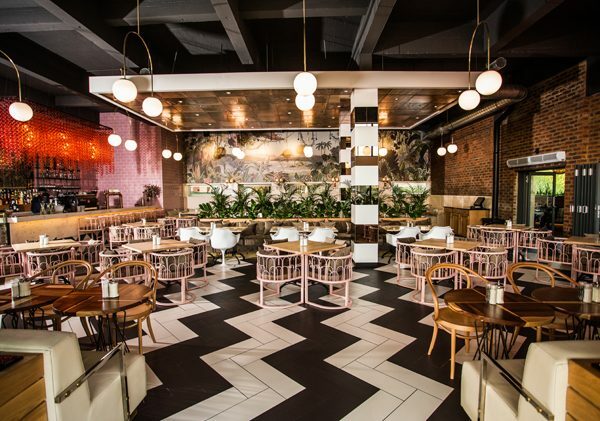 The stylish interior at 1904 Bistro Americain. Photo supplied. Take advantage of the daily lunch special, which is available from 12pm to 3pm. Order two courses for R149 or three courses for R159, both of which come with a complimentary Amstel, Strongbow cider or glass of sangria. Also, enjoy a half chicken and chips or salad on Mondays for R69. Take advantage of the Lekker Lunch special for R85 from Mondays to Saturdays, 12pm to 3pm. The special includes your choice of 200g sirloin and chips, hake and prawns, chicken schnitzel or spicy Mediterranean salad. The deal also comes with a free glass of Franschhoek wine. Pay half price for all meals marked with an asterisk between 12pm and 3pm. This deal does not apply to takeaways or sharing. Enjoy up to 50% off sushi and 30% off sushi platters from 12pm to 6.30pm from Mondays to Saturdays (excludes public holidays). On Mondays and Sundays, enjoy discounted pizzas. Choose any pizza of your choice for R95 and get a free Wolf Lager by CBC or glass of Fairview wine. Available until 9pm on Mondays. On Mondays pay R79.95 for selected pizza and pasta dishes. Head over for the daily two- or three-course lunch special available between 12pm and 3pm. Two courses cost R149.95 and three courses cost R159.95, both of which come with a complimentary carafe of wine, Heineken beer or G&T. A light lunch is available for R79.95 or take advantage of the cocktail special: All cocktails are just R39, from 12pm to 7pm, Mondays to Thursdays. Enjoy the R49 lunch special from Mondays to Fridays, 11.30am to 3pm. Get two large pizzas from the Passionate Pizzas section on the menu, plus a two-litre cooldrink for R189. This special is available daily. Join this burger joint for Burger Beer Mondays: Get two burgers, a side salad, chips, a glass of wine and a beer for R120. An OTT burger from Republik. Photo supplied. 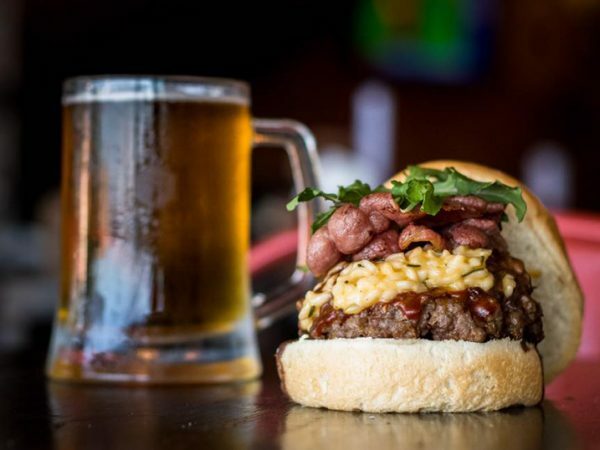 Take advantage of Brew Mondays, when you get any burger and beer for R105. Tuesday night is ribs-and-wings night: Get 12 wings and fries for R99; 400g ribs for R99 or a rib-and-wing combo for R149. Take advantage of the daily lunch special, which is available from 12pm to 3pm. Order two courses for R149 or three courses for R159, both of which come with a complimentary Amstel, Strongbow cider or glass of sangria. 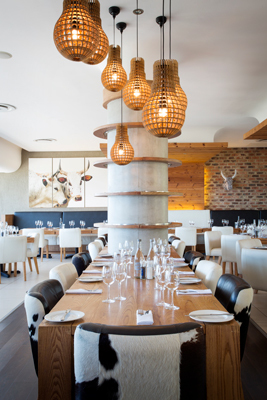 Butcher Block Umhlanga. Photo supplied. Pay half price for all meals marked with an asterisk between 12pm and 3pm. This deal doesn’t apply to takeaways or sharing. Get up to 50% off sushi and 30% off sushi platters from 12pm to 6.30pm, Mondays to Saturdays (excludes public holidays). Head over for the daily two- or three-course lunch special available between 12pm and 3pm. Two courses cost R149.95 and three courses cost R159.95, both of which come with a complimentary carafe of wine, Heineken beer or G&T. A light lunch is available for R79.95 or take advantage of the cocktail special: All cocktails are just R39, from 12pm to 7pm, Mondays to Thursdays. 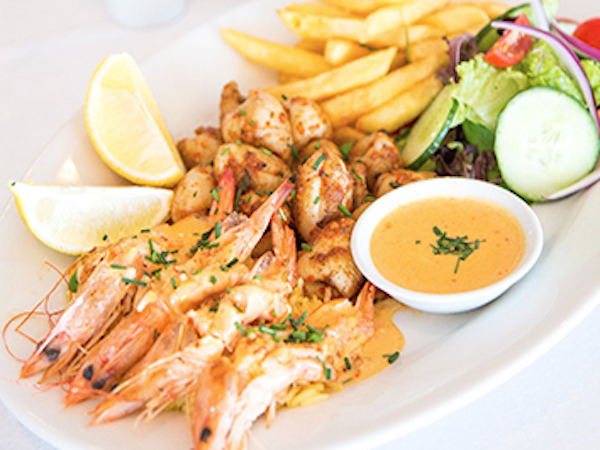 It’s also TWOSday Date Night, when for R299.95 you and your partner can enjoy a three-course meal. Get two large pizzas from the Passionate Pizzas section on the menu plus a two-litre cooldrink for R189. This special is available daily. Or, on Tuesdays only, you can get two large Passionate Pizzas for R149. On Tuesdays get two cheeseburgers and two beers for only R109 from 5pm. Tuesdays are all about the ladies. 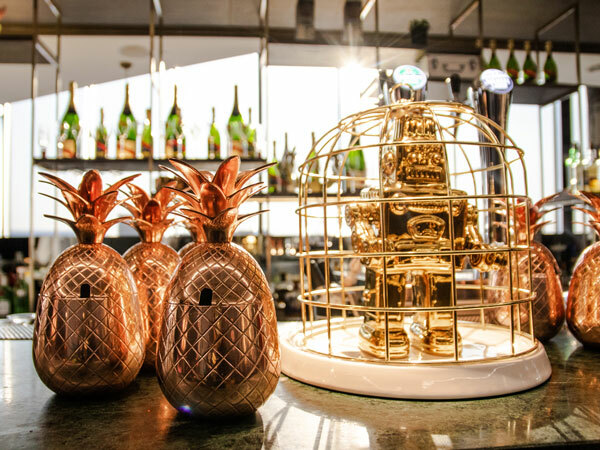 Groups of ladies-only tables get 50% off cocktails from 5pm to 7pm and 30% off mains from 5pm every Tuesday. Treat your partner to couple’s night every Wednesday. Get two selected pastas and a bottle of wine for R189. A sharing platter from Atasca. Photo supplied. Enjoy up to 50% off sushi and 30% off sushi platters from 12pm to 6.30pm, from Mondays to Saturdays (excludes public holidays). 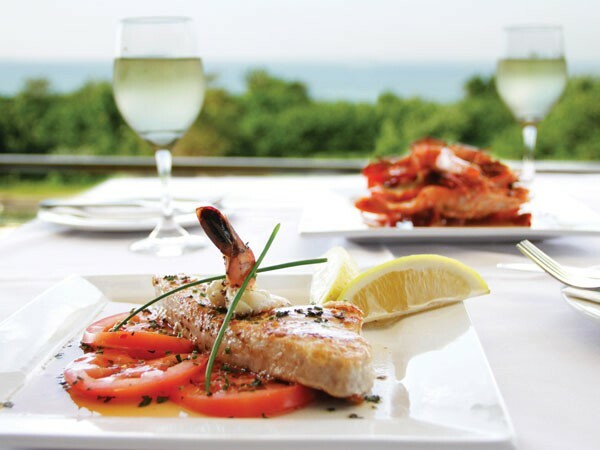 Head over for the daily two- or three-course lunch special available between 12pm and 3pm. Two courses cost R149.95 and three courses cost R159.95, both of which come with a complimentary carafe of wine, Heineken beer or G&T. 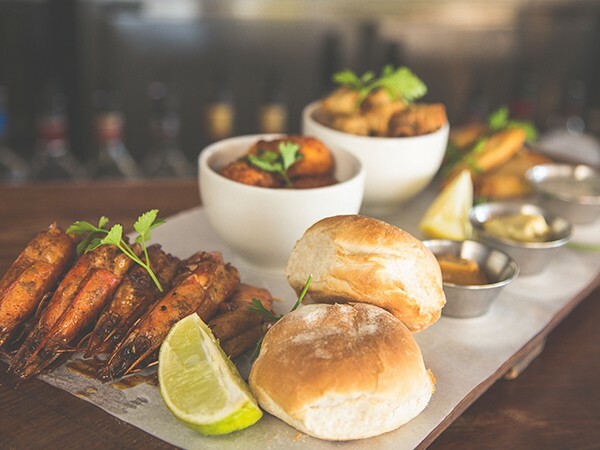 A light lunch is available for R79.95, or take advantage of the cocktail special: All cocktails are just R39, from 12pm to 7pm, Mondays to Thursdays. On Wednesdays, get two plain burgers and chips for R93. Also enjoy two large pizzas from the Passionate Pizzas section for R189 and get a free two-litre cooldrink. This special is available daily. Take advantage of the pizza-and-beer special on Wednesdays. Get your choice of pizza with a Robson’s Beer for R99 from 5pm. Take advantage of Wednesday Happy Hour between 4pm and 6pm. Thursday is ladies’ night: Order a Californian chicken or a Mexican flatbread for R139 and get a free G&T. Every Thursday is ladies’ night. Enjoy the Bamboo sushi buffet for only R175 per person. Plus every party of four will get a free bottle of wine. Take advantage of the Lekker Lunch special for R85 from Monday to Saturday, 12pm to 3pm. The special includes your choice of 200g sirloin and chips, hake and prawns, chicken schnitzel or spicy Mediterranean salad. The deal also comes with a free glass of Franschhoek wine. All-day burger special: Get your burger of choice plus a Windhoek draught or Amstel Radler for R70. Head over for the daily two- or three-course lunch special available between 12pm and 3pm. Two courses cost R149.95 and three courses cost R159.95, both of which come with a complimentary carafe of wine, Heineken beer or G&T. A light lunch is available for R79.95 or take advantage of the cocktail special: All cocktails are just R39, from 12pm to 7pm, Mondays to Thursdays. On Thursdays, after 5pm, women can enjoy a meal off the Ladies’ Night menu for R69. This applies to all-female tables only and includes a free glass of wine for each lady. Also enjoy the Jam Jar cocktail special for ladies: Buy one and get another at half price. If you’re here for lunch, take advantage of the weekly lunch special where you’ll get a lunchtime meal for R49. Get any two Posh Pastas for R118. Also enjoy two large pizzas from the Passionate Pizzas section for R189 and get a free two-litre cooldrink. This special is available daily. On Thursday evenings, enjoy bottomless ribs and pizza for only R159. Pig out on Fridays with your choice of Eisbein or beef and Guinness pie for R70, Windhoek draught for R20, Amstel Radler for R20, shooters for R18, cocktails for R40 or 250ml Anura sauvignon blanc or merlot for R30. Enjoy up to 50% off sushi and 30% off sushi platters from 12pm to 6.30pm from Monday to Saturday (excludes public holidays). A seafood platter at Jack Salmon. Photo supplied. Head over for the daily two- or three-course lunch special available between 12pm and 3pm. 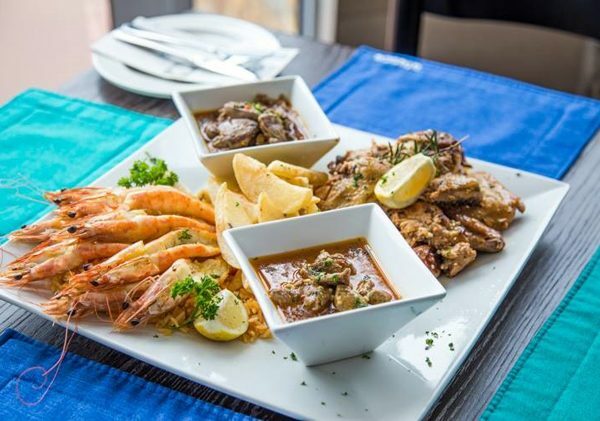 Two courses cost R149.95 and three courses cost R159.95, both of which come with a complimentary carafe of wine, Heineken beer or G&T. A light lunch is available for R79.95. 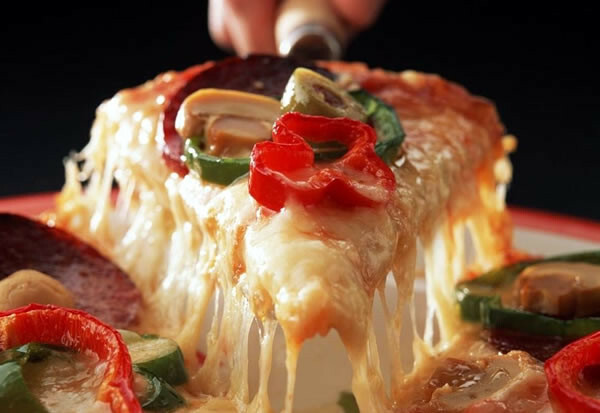 Enjoy two large pizzas from the Passionate Pizza section on the menu for R189. This special runs daily. Enjoy Happy Hour Happiness from 4pm to 6pm. A steak at Butcher Block. Photo supplied. Choose any pizza of your choice for R95 and get a free Wolf Lager by CBC or a glass of Fairview wine. Available every Sunday from 3pm. Treat the family to a Sunday Family Special: Two large Passionate Pizzas and two Posh Pastas for R310. Order fish and chips (200g) or any hamburger with chips and onion rings for R55. Choose between sauce options of cheese, pepper or peri-peri to add to your meal at an extra cost of R10. End off your meal by ordering the sticky toffee dessert (half portion for R20 or a full portion for R40). This offer is available every Monday. Fish and chips at Cape Town Fish Market. Photo supplied. Don’t miss the Monday Madness that happens at Dros. Beef burgers (with chips) are on sale for just R39.95. 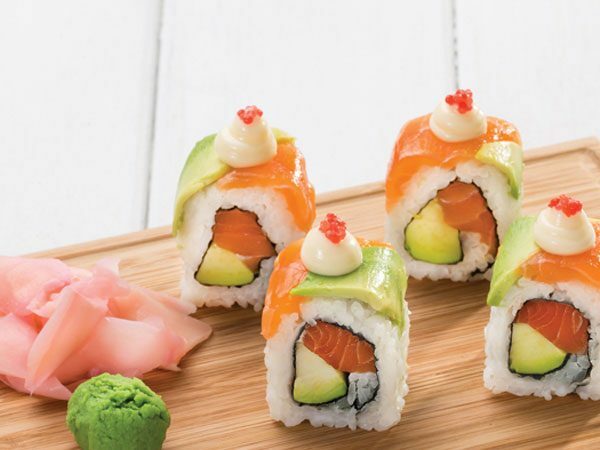 Enjoy a weekday lunch deal where you get three green sushi plates off the belt for R99, from 11am to 4pm. This special is valid Mondays, Tuesdays, Thursdays and Fridays. Order your choice of the Grilled Supremo breakfast, traditional breakfast pizza, or Mexican breakfast pizza for R36.90 until 11am. No takeaways. Tuck into the Unreal Breakfast of two fried eggs, two grilled rashers of bacon and fried tomato. The breakfast is served with two slices of toast, jam and butter, all for only R34.90. This special is available daily until 11am. 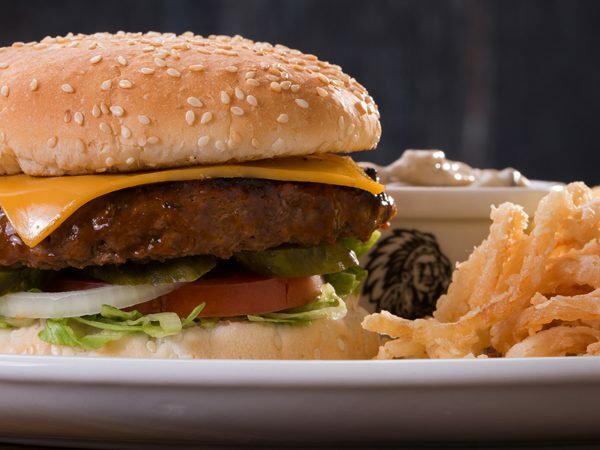 Buy a classic beef, chicken, rib or soya burger and pay only R55. Add a sauce for R9.90 or a gourmet topping for R15.90. This special is available all day on Monday, for sit-down only. Also available on Mondays only is the waffle special, in celebration of their opening in 1967. Order the classic waffle topped with cream or ice cream and caramel syrup for only R19.67. Ribs at Spur. Photo supplied. 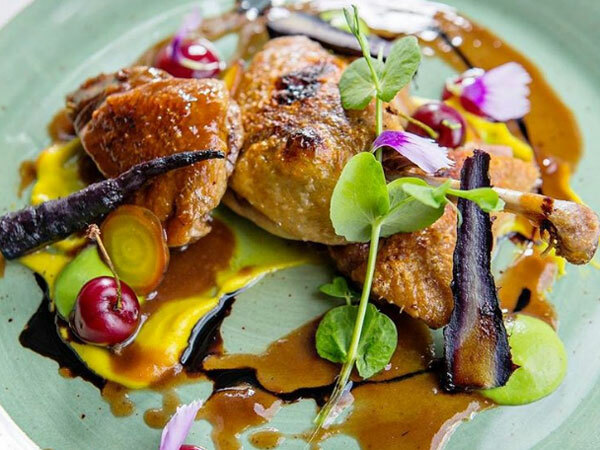 SA’s breakfast legend wants to kick your week off the right way with its Make My Monday deal. For just R29 the breakfast includes two eggs, two rashers of streaky bacon, two pork bangers and toast. Make your way to any of The Baron branches for Steak Tuesday. You receive a complimentary Heineken draught with any steak ordered. CTFM is getting in on the Taco Tuesday action, with two deep-fried fish tacos for R74 or four for R148. For R80 you can get two deep-fried prawn tacos or four for R160. This special is only valid until 17 February 2019. 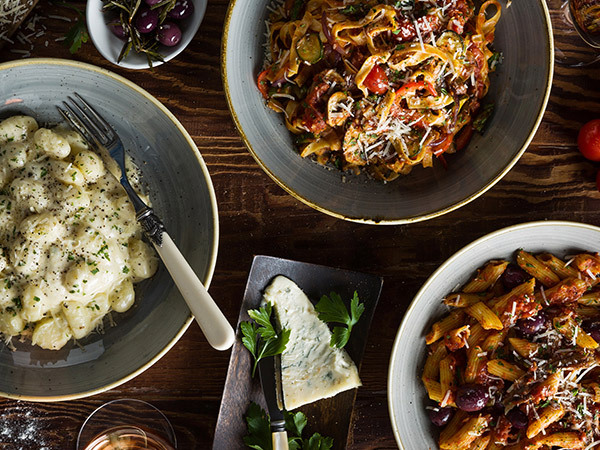 Get any two of Del Forno’s traditional pastas for just R129 on ‘2 Pasta Tuesday’. 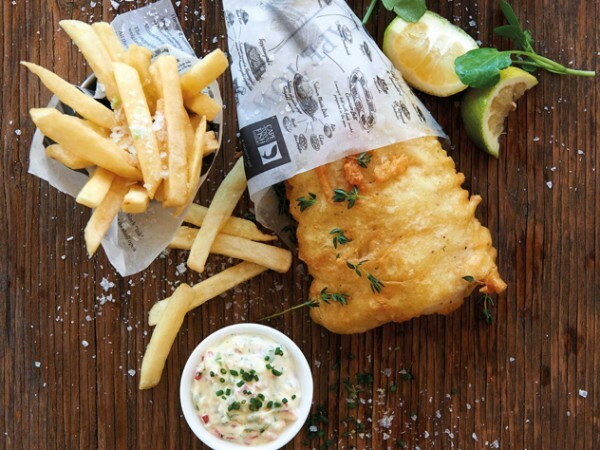 Enjoy fish and chips Tuesday, when you get a single portion of fish and chips for R49 or a double portion for R79. Also enjoy a weekday lunch deal, when you get three green sushi plates off the belt for R99 from 11am to 4pm. This special is valid Mondays, Tuesdays, Thursdays and Fridays. 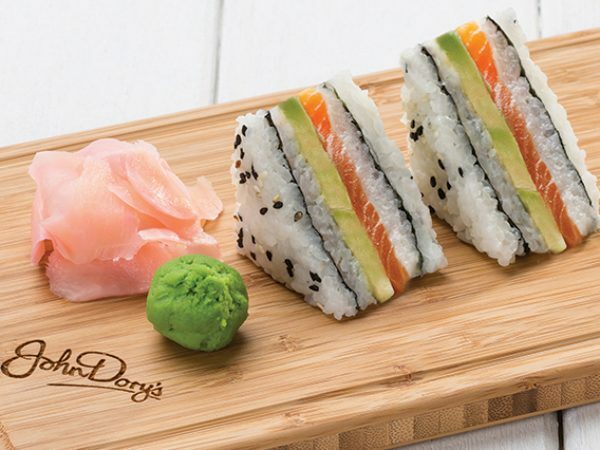 Rainbow rolls at John Dory’s. Photo supplied. If you’re watching the budget, get your pizza or pasta fix from Panarottis on a Tuesday for just R59.90. Or order your choice of the Grilled Supremo breakfast, traditional breakfast pizza, or Mexican breakfast pizza for R36.90 until 11am. No takeaways. Tuck into the Unreal Breakfast of two fried eggs, two grilled rashers of bacon and fried tomato. The breakfast is served with two slices of toast, jam and butter, all for only R34.90. Add R19.90 to the bill for bottomless filter coffee. This special is available daily until 11am. Pay half price for all colour-coded sushi plates. This offer excludes sushi specialities and platters and is not available for takeaways. A burger at Spur. Photo supplied. For R44.95 you get to enjoy a 300g calamari pan, served with chips or rice as part of the Thursday Madness special. The fashion sandwiches at John Dory’s. Photo supplied. On Thursdays from 5pm you can eat as much pizza as you like for R94.90 per person. Pizza is served by the slice and is not available for takeaways, doggy bags or sharing. This offer excludes wheat- and gluten-free bases and is not available at Panarottis Pizza Express stores. Also, order your choice of the Grilled Supremo breakfast, traditional breakfast pizza, or Mexican breakfast pizza for R36.90 until 11am. No takeaways. Enjoy a weekday lunch deal where you get three green sushi plates off the belt for R99 from 11am to 4pm. This special is valid Mondays, Tuesdays, Thursdays and Fridays. 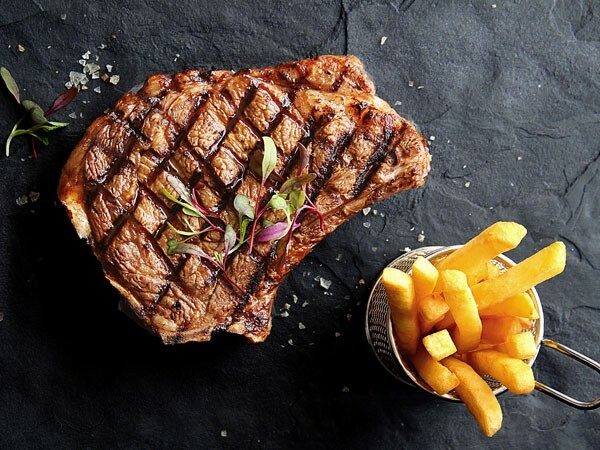 Or opt for their Gourmet Grill Fridays by ordering their 200g steak and mushroom or cheese sauce, the 400g ribs, 200g Portuguese steak or 200g Smokey Joe steak for R109 each. 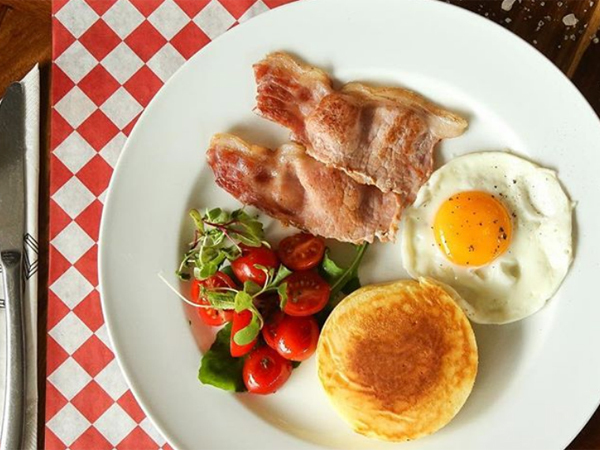 Get the Unreal Breakfast for R34.90 before 11am, which includes two fried eggs, two grilled rashers of bacon, fried tomato, chips, two slices of toast, jam and butter. This is not available for takeaways. Did we miss your favourite weekly special? Let us know in the comments below.